Polio, or poliomyelitis, is a viral illness which begins in the gut and travels to the nervous system. It is now globally quite rare, but current high-risk areas are India, Nigeria, and Pakistan. In the majority of polio cases, there will be no symptoms at all and the disease will pass without the person even knowing they had the disease. For those who do have symptoms, they will be similar to that of a flu infection, including fever of 38C (100.4F) or higher, headache, sore throat, body aches, nausea and/or vomiting, and tummy ache. These symptoms usually do not last more than a week. In very rare cases, if the virus attacks the nerves in the spin, it can cause temporary paralysis. Pakistan, Afghanistan and Nigeria are mostly affected by polio, however this disease can spread easily to other regions. Polio is spread through coughing, sneezing, or traces of the faeces of someone who has the infection (usually from eating or drinking food or water that has been contaminated via the hands). The incubation period of polio is about a week long, which means that the infection can be spread during this time, before the person actually knows they have the virus. In the past, in rare cases, polio was contracted by vaccination with the live virus. This is no longer a possibility, as the viruses used in polio vaccines in the UK are not live. Give us a call or use our online booking system to make an appointment to discuss any aspects of polio, from vaccination, infection, or aftercare. Does polio cause permanent paralysis? About 1 in every 200 cases of polio will lead to permanent paralysis in some degree. Other rare but long-term symptoms may include muscle weakness and atrophy, tight joints, and deformities of the limbs. Does polio still exist in the UK? Polio has been eradicated in the Western world, including Europe, the Americas, South East Asia and the Western Pacific. It is still a problem in Afghanistan, Nigeria, Pakistan, and other areas of Africa and the Middle East. What is the recommended vaccination procedure for polio? Children are given five polio vaccinations – three of them in the first 4 months, then at aged 3, then again at 14. 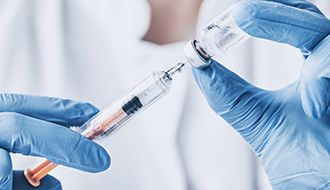 A booster for this vaccination is recommended for adults traveling to a country that is affected by polio, or if it has been more than ten years since they were vaccinated.